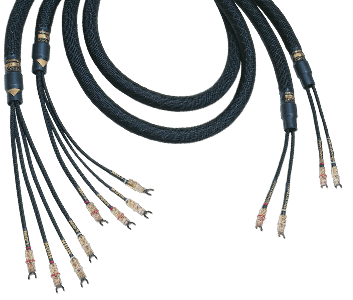 Bifocal X starts with a six wire braid worked around the X38R core followed by a layer of braided ESD yarn to separate the high frequency conductors from the twelve wire braid that makes up the low frequency conductors. After three trips through the braider you end up with two distinctly unique cables in a single body. The best of both TC and VS attributes with much better soundstage and more precise imaging. Stop punishing your tweeters with that bully woofer.